"He is now able to retire seemingly with no consequences for his actions," said Pennsylvania Attorney General Josh Shapiro. 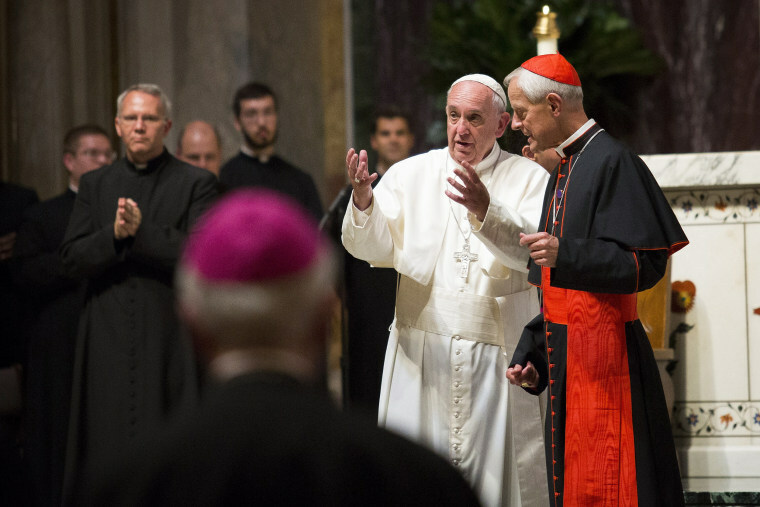 While some church leaders and parishioners have called for Wuerl's resignation in recent weeks, critics point to the fact that Francis asked Wuerl to remain the apostolic administrator of the archdiocese. He will also attend the annual American bishops meeting slated for November and holds an influential role on the Congregation of Bishops, which chooses who will take roles of church leadership. Wuerl will no longer serve as leader to more than 650,000 Catholics in Washington, but he's still expected to retain significant influence as a member of the Congregation for the Doctrine of the Faith, which over sees Vatican theology. "Instead of portraying Cardinal Wuerl as a victim who made some mistakes, Pope Francis should be instructing Cardinal Wuerl to fully reveal Cardinal Wuerl’s role in the cover up while Bishop of the Diocese of Pittsburgh for about 18 years and in the scandal involving former Cardinal McCarrick so that victims can try to heal," he said, referring to disgraced Cardinal Theodore McCarrick. "Pope Francis’s portrayal of Cardinal Wuerl adds another layer to the cover up." "Take away their robes and religion and we have one of the biggest criminal enterprises in the world," he said. "We’re talking about sexual abuse of thousands of children in wholesale fashion for decades upon decades while thousands of priests and supervisors covered it up — they’re criminals. They belong in jail."